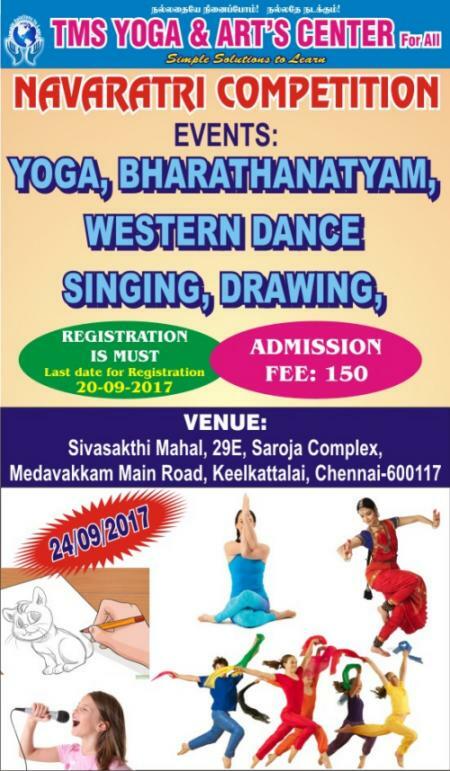 TMS YOGA AND ART’S CENTER WELCOMES ALL FOR NAVARATHRI COMPETITION IN KEELKATTALAI on 24′ Sep 2017, Sunday. 6 – 6.30 = prizes. IN BHARATHA NATYAM WHICH ITEM WE HAVE TO DANCE.